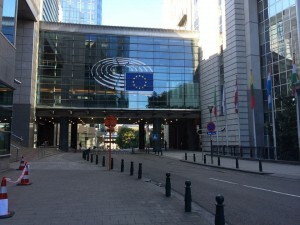 A few months ago I received an invitation to attend, as an expert in crowdsourcing, to a workshop organized by the European Comission at July 7 in Brussels. Obviously I accepted the invitation and started to study and read everything related to the specific topic of the workshop. This last year, I’ve been researching about the use of crowdsourcing in educational environments (a really interesting issue). Anyway, the preparation for this meeting has given me the opportunity to return to research about old and forgotten issues such as motivation and incentives in crowdsourcing initiatives, and to explore innovative applications for me of crowdsourcing, as the place of crowdsourcing in the world of Big Data. Obviously I’m preparing some very interesting posts about these topics. I think it’s a good opportunity to retake the development of this blog after having spent a year offside. Just to let you know, first I will finish old posts that were saved as drafts, and then I’ll come with everything I’m learning in my preparation for this Workshop. Next Post:Using crowdsourcing for microtasking… but ¿which microtasks? Que buena oportunidad tuviste:D y que honor ser invitado.